Since A D Rattray Ltd was founded by Andrew Dewar and William Rattray in 1868, they have aimed to delight the whisky enthusiast. 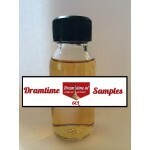 A D Rattray began trading as an importer of French wines, Italian spirits and olive oil. 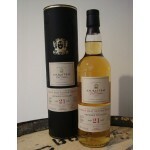 More importantly, however, the company also established itself as a specialist in the field of blending and storage of malt and grain whiskies. 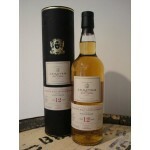 In the later part of the 1800s A D Rattray Ltd came to represent a number of well-known Highland Malt distilleries - most notably Stronachie - selling bulk whisky to West of Scotland wine and spirit merchants, publicans and the main Scotch whisky blending houses in and around Glasgow. Today the company's principal purpose is to bottle unusual and exclusive casks of Scotch Whisky, with each one chosen to reflect the different styles of the six individual whisky regions of Scotland. Whether from Mr Morrison's own stock or independently sourced, only casks which are found to be of exceptional quality are bottled under the A D Rattray Cask Collection label and released into selected markets. 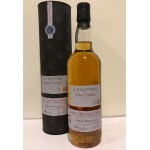 The A.D. Rattray Williamson 12 years old 2005 is a younger Islay blended malt from an undisclosed..
Cask Islay Small Batch Single Malt is an Islay malt with no age and distillery statement. A typic.. 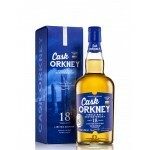 The Cask Orkney 18 years old is an older Orkney single malt from an undisclosed distillery bottle.. 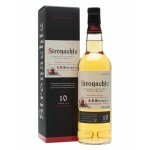 The Stronachie 10 years old is a Highlands single malt whisky bottled by A.D. Rattray. Stronachie.. The Stronachie 18 years old is a Highlands single malt whisky bottled by A.D. Rattray. Stronachie..